– The Oregonian sports writer Ken Goe talking about how he won’t be watching the USATF Distance Classic (Oxy) this year because it’s behind NBC Sports’ $69.99 paywall. If not even the sports journalists want to pay up, maybe NBC needs to rethink their price point. Texas man sues date for texting during movie during his "first date from hell" - What's your worst dating experience? How to determine lactate threshold pace? Remember elite fat activist Ragen Chastain? She's back with a 10 hour marathon finish in Maine. What percentage of women can run a 6-min mile? LRC 2017 Oxy Preview: Centro Runs His First 1,500 Since Rio Vs. Mo Farah; Jenny Simpson (800), Brenda Martinez (800, 1,500) & Donavan Brazier (800) Also Entered The US Champs take place in 5 weeks and hardly any Americans have the world standard. Normally that’s the name of the game at Oxy, but this year’s meet, which will cost you $69.99 to watch, also serves as Matthew Centrowitz‘s first 1,500 since Rio and Mo Farah‘s first outdoor track race since Rio. 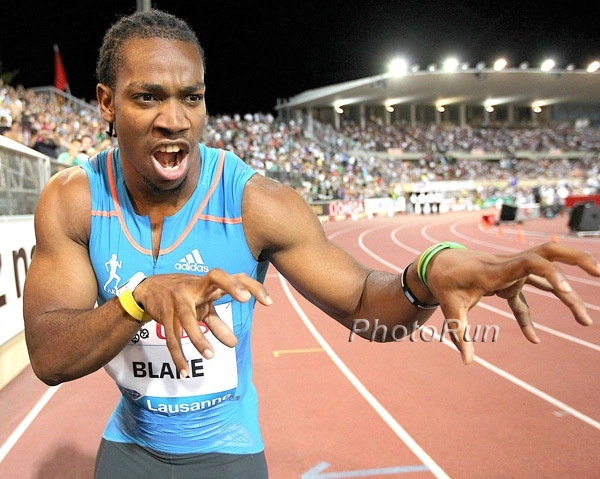 Article has been updated with heat sheets. Australian Distance Couple Genevieve LaCaze And Ryan Gregson Give Their Tips For Sport And Life They rip on Americans’ fashion sense when they single us out not to wear running shoes with jeans. 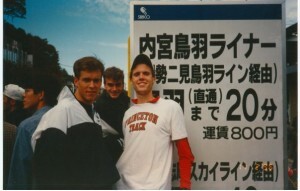 Good Read: RunBlogRun Tribute To Recently Passed Former NYC Marathon Champ Tom Fleming Fleming passed away last month while coaching at a high school meet. LRC 19-Year-Old Noah Lyles Arrives As A Star By Winning His Diamond League Debut In 19.90! Lyles is officially the REAL DEAL as he became just the fourth human to break 20.00 before turning 20. LRC Shanghai Recap: David Rudisha Trounced As The Sprinters And Jumpers Steal The Show updated with video David Rudisha was trounced by 19-year-old Kipyegon Bett but the other favorites in the mid-d and distance races delivered as Olympic champs Faith Kipyegon and Ruth Jebet were dominant. Luvo Manyonga put on a show in the long jump and so did Elaine Thompson in the women’s 100m. IAAF: South Africa’s Olympic Silver Medalist Luvo Manyonga Breaks Diamond League LJ Record With 8.61m Victory Olympic discus Sandra Perkovic recorded her 35th Diamond League competition win. 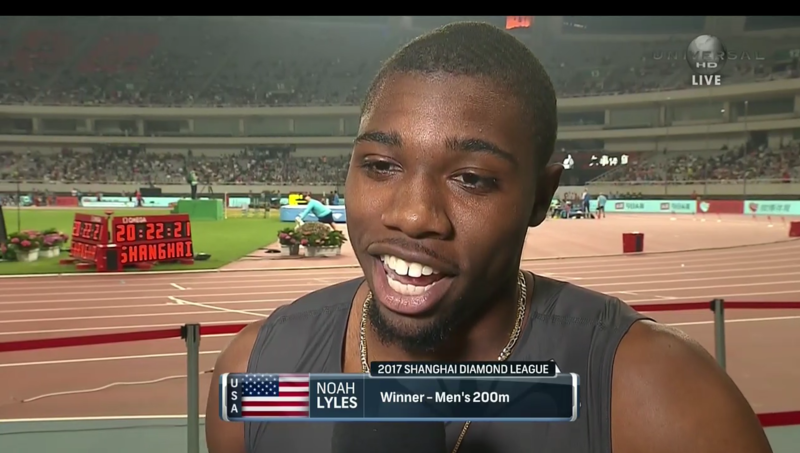 Noah Lyles Diamond League Debut Is In 8 Hours – Predictions For It And His 2017? Good Read: Alysia Montano Interview “On Racing, Motherhood And Medals” Montano looks back at the 2014 USAs when she ran while 8 months pregnant and was eating a sandwich in the call room beforehand. Runner’s World: Six Runners Who Have Extra Reasons To Celebrate Mother’s Day The post-Olympic baby boom is in full swing in 2017 with many top women taking time away from the sport to have a baby this year. 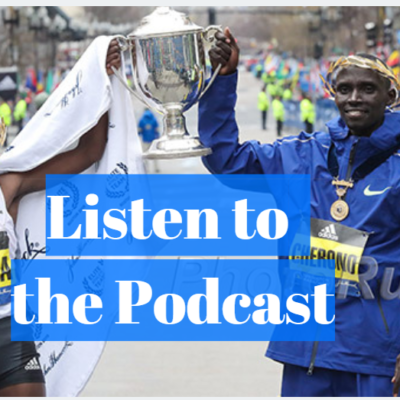 Sally Kipyego Was A Month Pregnant When She Finished 2nd At The 2016 New York City Marathon Kipyego talks about running the NYC Marathon not knowing she was pregnant, stopping running 18 weeks into her pregnancy, weight gain and potential comeback. Sanya Richards Ross Backs WR Reset But Notes That Not All Post-2005 Times Will Be Clean Richards-Ross would inherit the 400m WR from East Germany’s Marita Koch (47.60 in 1985) as her 48.70 PR is the best post-2005 time. LRC Pacing2: Chris Derrick & Andrew Bumbalough Tell What It Was Like To Pace Eliud Kipchoge To 2:00:25 Derrick and Bumbalough talk about not only the details of the attempt but also their tremendous respect for Kipchoge. 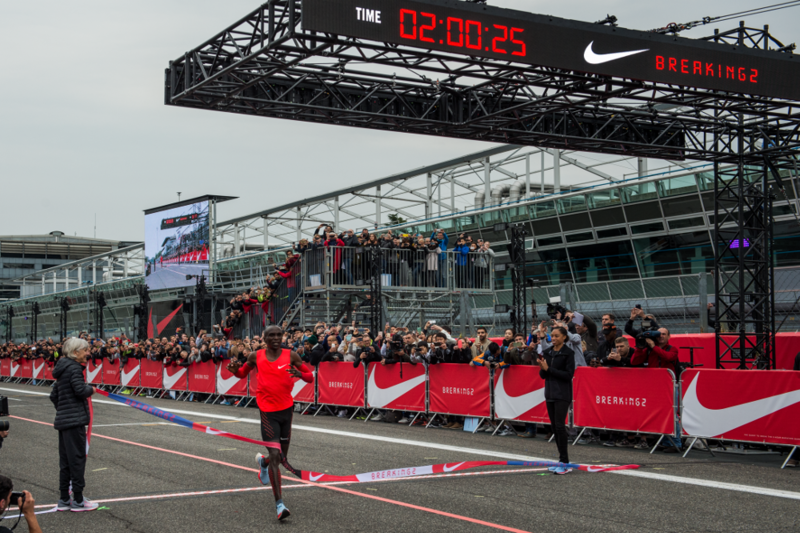 LRC Nike Or Its PR Firm Altered The Time On The Clock In Eliud Kipchoge Breaking2 Finish Line Photo The best marketers in the world wanted everything to look perfect, so they just added 2 seconds to the finish line clock photo they sent out, which was off. Meet The Man Behind The Scenes Who Was “Crucial To The Breaking2 Project” Samuel Kipkogei Kiplagat, known affectionately as “Chef Sammy”, cooks Kipchoge’s meals says he kept his simple usual diet. Sarah Barker In Deadspin: “Eliud Kipchoge Managed To Steal A Show Nike Set Up To Be About Them” Barker also criticizes Paula Radcliffe for giving some of the credit to Nike’s Zoom VaporFly shoes. Adidas Sets Aside Rivalry To Congratulate Nike And Eliud Kipchoge On Breaking2 Attempt We’re sure they were silently celebrating his near miss. Opinion Piece: “The Breaking2 Event Demonstrated Exactly What Has Been Lacking In Cross Country Running” Can XC mimic some of the Breaking2 marketing strategies to gain more popularity? 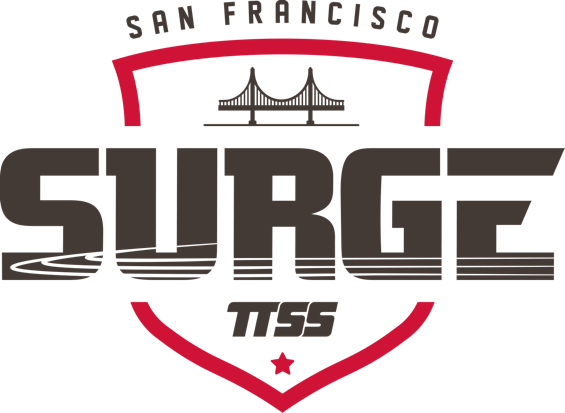 Are Pro Track Fans Ready For A Draft and Team Names and Logos? Saturday: British 10,000m Runners Hoping To Seal London 2017 Qualification At Highgate Harriers Night Of The 10,000m PRs Top Brits fighting for a Worlds spot include Jo Pavey, former NCAA champ Kate Avery, Andy Vernon and Dewi Griffiths. *Last Year’s Winner Ross Millington Says The Atmosphere At The Night Of The 10,000m PRs Was Better Than In Rio Last year’s race was famously run through a beer garden on the backstretch. 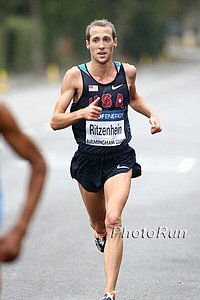 USATF: Dathan Ritzenhein Finishes Strong To Win Hometown Race At USATF 25K Champs Ritz beat out defending champ Christo Landry by 13 seconds while Aliphine Tuliamuk was the repeat champ on the women’s side, coming in ahead of Neely Spence Gracey. Bekelech Daba Breaks Latvian All-Comers Record With 2:31:22 Victory At Riga Marathon Zimbabwe’s Joseph Kyengo Munywoki won the men’s race in 2:12:14 but the big story was that Valerijs Zolnerovics set a new Latvian NR of 2:14:23. June 3: Brianne Nelson Will Return To Defend Her Crown At The Freihofer’s Run For Woman 5K In Albany, NY She’ll face a deep American field that includes Aliphine Tuliamuk, Ashley Higginson, Amy Van Alstine and Maegan Krifchin. Arkansas Women Capture 10th Straight SEC Crown Arkansas got a win in the 1,500 from Nikki Hiltz in 4:17.94, who beat out NCAA indoor 5,000 champ Karissa Schweizer. Schweizer also ran and won the 5,000 as Jazmine Fray took the 800 (2:02.00). Texas A&M Men Win SEC Team Title Over Arkansas By 13 Points Texas A&M’s Devin Dixon won the 800 in 1:45.71 over Florida’s Andres Arroyo and Ole Miss’ Craig Engels. Engels got a win in the 1,500 as his teammate MJ Erb won the 5,000 (13:47). Tennessee Star Christian Coleman Completes Sprint Double, Running One Race With An Untied Shoe Coleman ran 9.97 with one shoe untied to win a close race with LSU’s Nethaneel Mitchell-Blake (9.99). Texas A&M’s Lindon Victor Breaks The Collegiate Decathlon Record Again Victor broke Trey Hardee‘s 11-year-old record back in March and then one-upped himself at SECs with 8,539 points. *MB: Wow: Fred Kerley walks across the line in 44.09 in his prelim at SECs!! Oregon Men & Women Sweep For 9th Straight Year It’s 11 wins in a row for the men. Sprint Star – Yes, Sprint Star – Kyree King Leads Duck Men To Title King swept the 100 (10.09w) and 200 (20.27w) as Oregon won both short sprints for the first time since 1959. 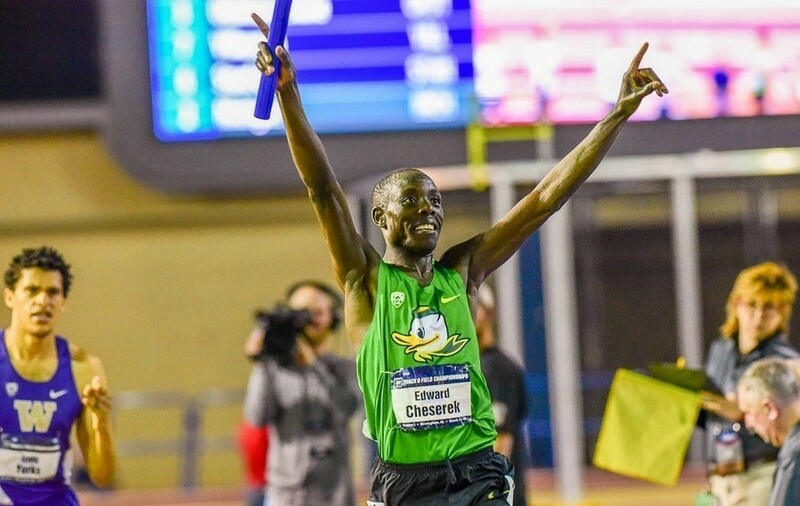 Cheserek only ran the 10k and that was the only mid-d or distance event the Ducks won. Oregon Women Sprint To PAC-12 Track Crown, Led By Deajah Stevens One year after Hannah Cunliffe won the 100 and 200, Stevens did it in 11.05 and 22.09 – the 22.09 was a world lead. 1,500s: MB: Is Dani Jones the next Jenny B? She won the 1,500 and 5,000. Edward Cheserek Comfortably Wins PAC-12 10K To Help Oregon Men Take The Team Score Lead Oregon is in the lead by 13 points with rivals USC in 4th (34.5 points). Oregon And USC Women In Position To Battle It Out For PAC-12 Title On Final Day They are both tied for 5th place with 24 points; Colorado is currently in the lead (CU went 1-2 in the 10K with Erin Clark getting the win). Oregon Is Hosting PAC-12s – Men’s Team Is Only Favored By 5, Women By 13 The meet will be broadcast live on Sunday on PAC-12.com. Minnesota’s Madeline Strandemo Took Steeple Title In 9:51 Illinois’ Dylan Lafond won the men’s race in 8:40. Wisconsin’s Malachy Schrobilgen Won Men’s 10,000 Title Michigan’s Gina Sereno won the women’s 10K. Virginia Tech Men Beat Virginia By 1 Point; Virginia Tech Women Win By 6 Over FSU Notre Dame freshman Anna Rohrer won the 10,000 in 33:22 by over a minute. Texas Men And Kansas State Women Leading After Big 12 Day Two Kansas State has a solid 16-point lead while the men’s competition is close with Texas Tech 1.5 points behind in second. Marquette Women Are Back-To-Back Big East Champs Distance results were highlighted by Providence’s Brianna Ilarda winning the steeple in 9:56. *El Paso Times: “How Did UTEP Land World Class Runner Emmanuel Korir?” Stud freshman Korir has lit the NCAA on fire this season, running 44.67 and scaring the 800 record with 1:43.77. Big Sky: Sac State Women, NAU Men Win Results here. 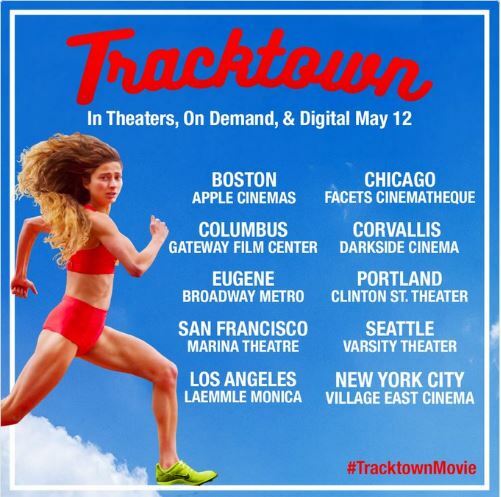 Alexi Pappas’ Film TrackTown Opens May 12 In Boston, Chicago, Columbus, Corvallis, Eugene, Portland, San Fan, Seattle, LA And NYC If you don’t live there, you can also watch it on itunes. If you thought it came out last June (like we did), that was just the premiere. Disgraced Canadian Sprinter Ben Johnson Stars In Video Ad Making Fun Of PED Use The ad for sport betting app Sportsbet features Johnson, a Lance Armstrong look-alike and numerous comical doping puns. European Athletics President Svein Arne Hansen Accused Of Covering Up Doped Athletes In The 1980s Former HJ world record holder Patrik Sjöberg accused Hansen of having clean athletes take tests on behalf of doped ones and Hansen is even accused of taking a test himself for an athlete. 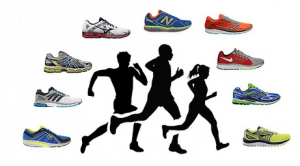 8 Pieces Of Old Running Gear That Runner’s World Writers Can’t Throw Away From the Ipod Shuffle to the Timex Ironman, they’ve got some items we love as well. Olympic Pole Vault Bronze Medalist Eliza McCartney Talks About The Moment When She Realized She Had A Future In Track & Field McCartney unexpectedly won the Australian Junior Championships back when she had only been pole vaulting for seven months. HS Pole Vault Star Mondo Duplantis Voted European Athlete Of The Month Duplantis, who has Swedish citizenship, is already expected to make waves in the pro ranks after he cleared a world U20 record of 5.90m at the Texas Relays. RunBlogBlog Article About The Difficulty Pole Vaulters Face When Traveling With Their Poles Transporting 8-10 poles on flights, to and from meets and storing at hotels is as difficult as the competitions themselves. 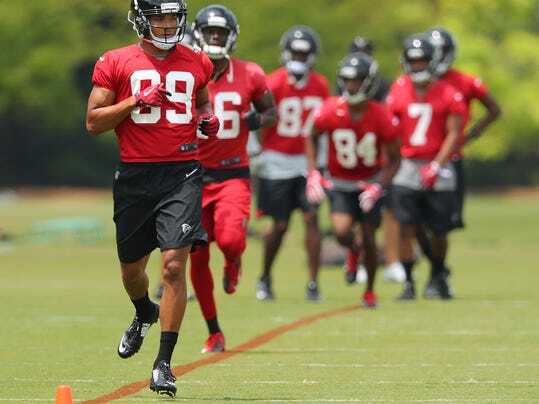 USA Today: Decathlete Garrett Scantling Trying To Make It In The NFL Scantling hasn’t played football since high school, but after getting 4th at the Olympic Trials last year, Scantling has put track on hold and is trying out for the Atlanta Falcons. Baltimore Ravens Have Two Former Track Athletes Among Draft Picks Marlon Humphrey was a world youth champion in the 100H and 400H while Tim White was 4th at NCAAs last year in the TJ. LRC How Far Did Eliud Kipchoge Really Run In His Breaking 2 Attempt? 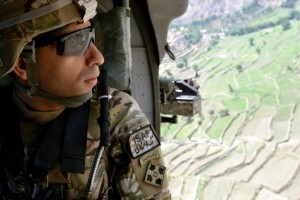 What Was the Deal With Him Crossing the Blue Line? 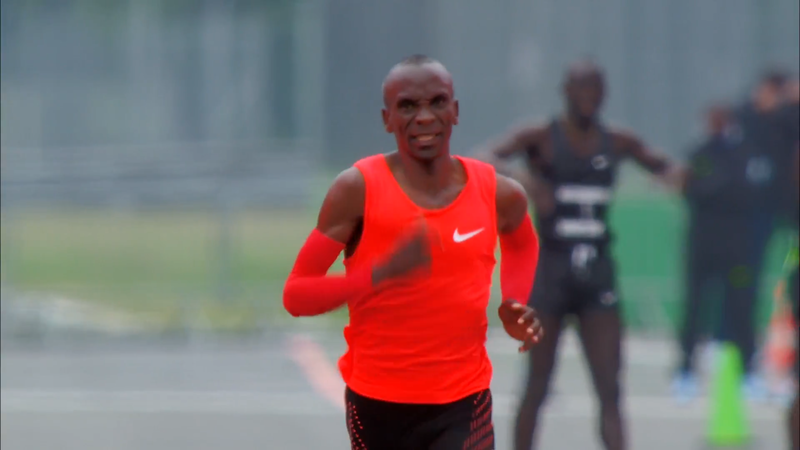 Kipchoge’s incredible 2:00:25 clocking wasn’t achieved because he ran less than 26.2 miles. No, the course may have actually been seven seconds long. Sonia O’Sullivan Thinks A Legit Sub-2 Isn’t Too Far Off After Kipchoge’s Run We politely disagree. 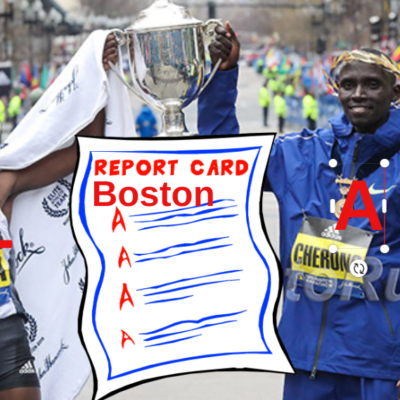 LRC Breaking2 Falls Short, But Eliud Kipchoge Runs An Astonishing 2:00:25 It won’t go in any record books, but Kipchoge showed once again he is the greatest marathoner of all time. We try to break down his remarkable run. 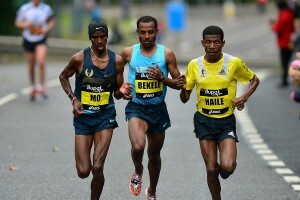 *Form Analysis: What Could Nike Scientists Do To Better Manage Fatigue The Next Time Around? *RW: Processing The Aftermath Of The Sub-2:00 Attempt An interesting note is that Kipchoge unexpectedly used the new Swedish sports drink used by Kenenisa Bekele and the rival Sub2Hr project. 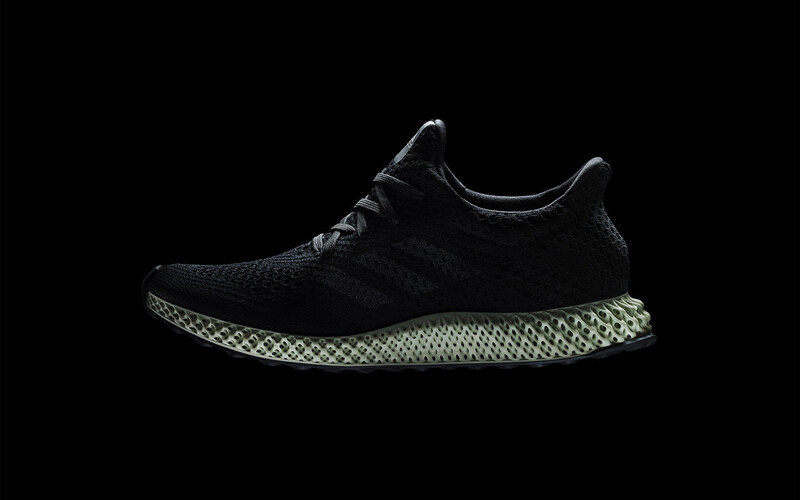 Breaking 2 Discussion: How cool is That? 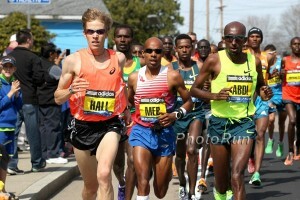 Kipchoge went after it and was THIS close!!!! Why was Kipchoge’s race not “offical” by IAF rules? If Kipchoge’s 2:00:26 doesn’t count as any sort of record; does it count as a personal record?